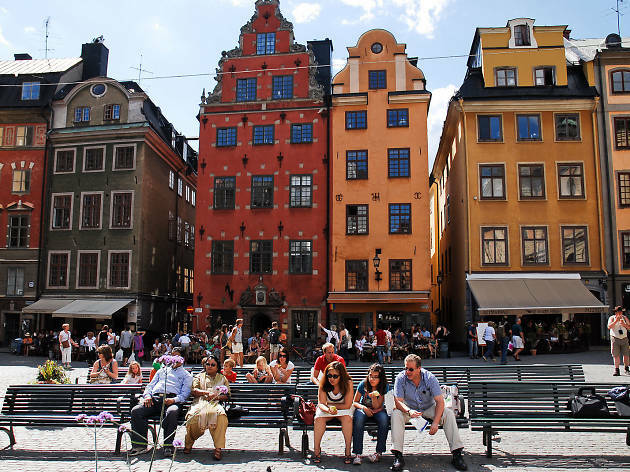 Butter, chilli and mint-coloured townhouses dating back to the Middle Ages, an eighteenth-century fountain surrounded by cobblestones, and an imposing palatial building that once hosted Sweden’s stock exchange all make up the ingredients that bake together Stockholm’s most photogenic square. 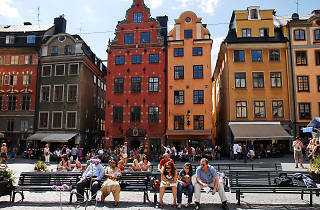 The focal point of the city’s Old Town (Gamla Stan) for 800 years, Stortorget has seen it all, from the infamous Game-of-Thrones-esque Stockholm Blood Bath (when 90 people were hanged or beheaded following an invasion by Danish forces in 1520), to suffrage demonstrations by Stockholm’s disenfranchised working class in the 1800s. These days it’s a much calmer spot, despite the hoards of daily tourists. Don’t miss the Christmas market if you’re visiting in December—it’s best experienced after dark when the square’s lit by a twinkling fir tree and the golden glow of oil candles dotted outside it’s bars and restaurants. Time Out tip: Take a sip of history at Stortorget’s Pharmarium bar, where herbs and spices infuse inventive craft cocktails mixed on the site of the Swedish capital’s first pharmacy, dating back to 1575.